New Delhi: National Health Assurance Mission, which the Centre plans to roll out next year, will be accountable to people for deficiencies in delivery and a regulatory authority will be formed to oversee enforcement of the norms, the government announced today. 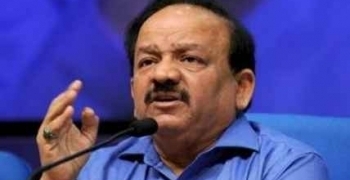 Health Minister Harsh Vardhan said the Centre would institutionalise a regulatory authority with vast powers to oversee enforcement of all-round quality standards and for consumer protection under National Health Assurance Mission (NHAM). “NHAM is going to be the biggest ever health outreach with universal health insurance as a strong component. While quantitatively India will leapfrog into a new era, quality should not be compromised. Quality and quantity are not mutually exclusive,” he said. Addressing a two-day national convention on quality in public health, Vardhan noted that the expert group headed by Ranjit Roy Choudhury had recommended that NHAM should be accountable to people for deficiencies in delivery. The ‘Swachh Bharat’ campaign would be key to the “new culture”, he said. He urged officials to recognise that patients are the very purpose of the health sector, saying “we” are dependent on them for existence and they do not exist because of us. Under NHAM, people will be provided with health insurance. The facility will be given free of cost to the poor. It will be launched in phases.